A kosher lemongrass beef patty served on a white bun with mixed greens, guacamole, and garlic sauce. 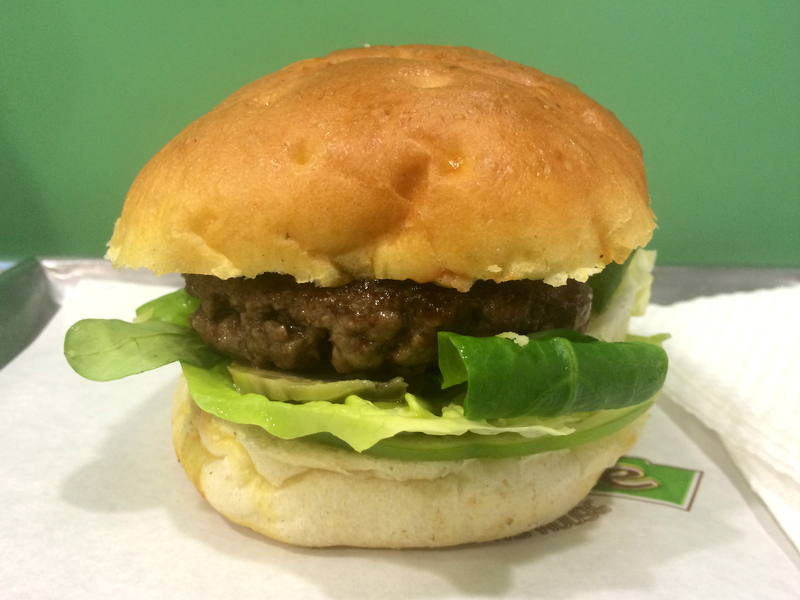 ‘Fresh’ is not generally the first word that comes to mind when I think of hamburgers, but the fresh burger at Fonzie Burger in Rome’s Jewish Ghetto is the exception. The combination of fresh, green ingredients with guacamole and a super-tasty lemongrass-flavored beef patty make this burger taste not only fresh but incredibly delicious. Fonzie Kosher Burger is located on the edge of the Jewish Ghetto in Rome, Italy. did you just say “lemongrass beef patty” and served with guac and garlic sauce? Oh my. And what an awesome door! You make me want to taste the burger. The description sounds very delicious!